The ever-growing popularity of cryptocurrencies spawned some revolutionary ideas in business and finances, but also a slew of elaborate scams aimed at our (hot) wallets. The more diverse the company's activity, the more arduous it is to identify whether it is a legitimate business or just another scam in the mining pool (pun intended). Coinomia is one of those "all-over-the-place" mining companies, which is not inherently bad per se. Stick around and read all about them in our in-depth Coinomia review. Coinomia is a cross-platform between MLM, HYIP, and a cloud mining service for an assorted lot of popular cryptocurrencies. It was founded in 2014 as a cloud mining company, primarily focusing on Bitcoin and Ethereum. They expanded their portfolio by pre-launching an ambitious referral marketing investment program on November 1st, 2016. The company is stationed in the UK but utilizes 4 cryptocurrency mining farms, located in China and India. Their data centers allegedly feature state-of-the-art ASIC miners, driven by power generated by proprietary solar panel clusters. That’s the secret behind their competitive rates for electricity fees. As if the HYIP approach wasn’t enough of a red flag already, their estimated ROI is 150% over the course of around 15 months. On the other hand, the age of the company depicts a legitimate operation, as well as their diverse client base, scattered all around the globe (USA, Italy, Germany, India, Japan…). Account creation – You can do this through their website or through somebody’s link, giving them a referral commission specific to their Coinomia contract. The very existence of referrals in a cloud mining business is also a major red flag for pyramidal selling or a Ponzi scheme. The account is completely free. Account setup – This step encompasses the personalization of your account with authentic details. Choosing a plan – You can opt for one of 3 different contracts offered by Coinomia. 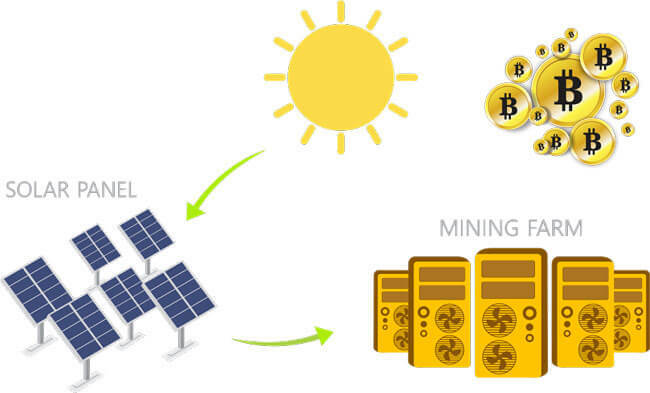 They bring different mining power, but also different commissions for direct referrals. Upgrading – Once (and if) you’ve returned on your investment and potentially decided that Coinomia is a perfect fit for you, you can upgrade your plan and dedicate even more power to your mining operation. Coinomia’s projections for potential profits promise (at least) 5% and 8% for Bitcoin and Ethereum mining, respectively. The problem is, however, that most of the mentioned profits come from referral commissions for prompting the company to friends, family, and other cryptocurrency aficionados on the Internet. Coinomia, in fact, puts you in the position of an Internet marketer, rather than a cryptocurrency miner. Since the majority of your income will come from referrals, you’ll actually be able to make money, even if Coinomia is a dubious endeavor. Cloud mining is a long-term process and expecting quick money out of it simply isn’t realistic. X11 is a widely exploited hashing algorithm utilizing sequences of 11 scientific hashing algorithms for its proof-of-work. Making ASICs for these algorithms proved to be very difficult. The chained hashing approach has high-end CPUs performing as GPUs, with an added benefit of requiring around 30% less wattage and running 30-50% cooler than with Scrypt. Binary income – A simple binary matching bonus plan specific to MLM brings you an extra 10$ for every match. Repurchase income – For this income, you’ll need to repurchase the product to get incentives from your downline and perform at one of the levels found in the repurchase table binary in the multiples. Multiple cryptocurrencies – The official Coinomia info states that they use ASIC for Bitcoin mining and “custom designed hardware” for Ethereum, which can also mine any other cryptocurrency after being properly calibrated. Virtual ROI calculator – Once you register your account, you’ll be able to access tools like income calculator, which will keep you informed about your monthly income at all times. Daily payouts – The profit projections are made across 15 months, but the payouts are administered on a daily level. Unlimited support – The company provides professional user support, equipped to solve any potential issues with the service. 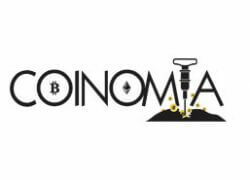 Maximum returns – Coinomia is a rare cloud mining company offering multiple streams of income to its users. We’ve already expressed our concerns when it comes to this topic, though. Referrals – Even as a free member, you’ll be able to land commissions from every user with an upgraded account. Speaking of referrals, there’s quite the catch if you’re prompting people to join the program through your free account. Namely, free accounts have a 24-hour validity period. It is highly unlikely that any of them will upgrade during that time frame, so you’re basically forced into paid membership if you want those commissions. Pool Contract (100$; PV = 1) – This contract represents a virtual hardware division between multiple users with equal block rewards distribution. The mining is done on absolute autopilot, without any purchased hardware or maintenance fees. The mining power in this package is 3 TH/s in BTC and 0.58 MH/s in ETH. The commission for a direct referral is 8%. Machine Contract (1000$; PV = 11) – Instead of mining cryptocurrency in a common pool with other users, this contract gives you a dedicated mining machine. So, everything mined by the machine will be awarded to the owner of the contract. The mining power is 30 TH/s in BTC and 5.8 MH/s in ETH. The referral commission is 10%. Rack Contract (10,000$; PV = 115) – If you opt for this contract, you will be the temporary owner of the entire rack of cloud mining machines, dedicated solely to your mining needs. The definition of this contract appears somewhat vague and we think Coinomia should’ve invested more of an effort in properly explaining its premium option. The mining power is 300 TH/s in BTC and 57.7 MH/s in ETH. The commission for direct referrals is 12%. Bitcoin and cloud mining activities, in general, are slowly becoming more difficult and time-consuming. Keeping that in mind, there is money to be made with Coinomia, but more likely through building a substantial base of referrals than through actual mining. The math is just not there. The latest statistics state that it takes 1121 TH/s processing power to produce 1 Bitcoin per day. Ergo, 300 TH/s (the 10,000$ Coinomia contract) will generate 1 Bitcoin in 3-4 days. Taking the fast-decreasing generation rate and the potential instability of the Bitcoin value, that’s already two ways to lose money. This Coinomia review also revealed several red flags in their business model, so definitely be careful and focus more on marketing than cloud mining if you opt for this company. It’s going pretty smooth, but the money each day is not even close to what they say on the site. A hundred bucks is an ok price just to get your feet wet, but I def wouldn’t go any further than that. For 1000 dolls they should really give more information on the rig and the software. Damn, didn’t realize the free signup gets deleted after a day!